The post was edited 1 time, last by djsheep ( Mar 10th 2019, 8:10am ). PGM "KOV - NINE DRAGONS" PCB Added. What do you have left that you need? Well, I can scan ESPGaluda when I get around to finding it in my storage if you don't have it by then! Damn, I had a single board DF, but it's gone now! 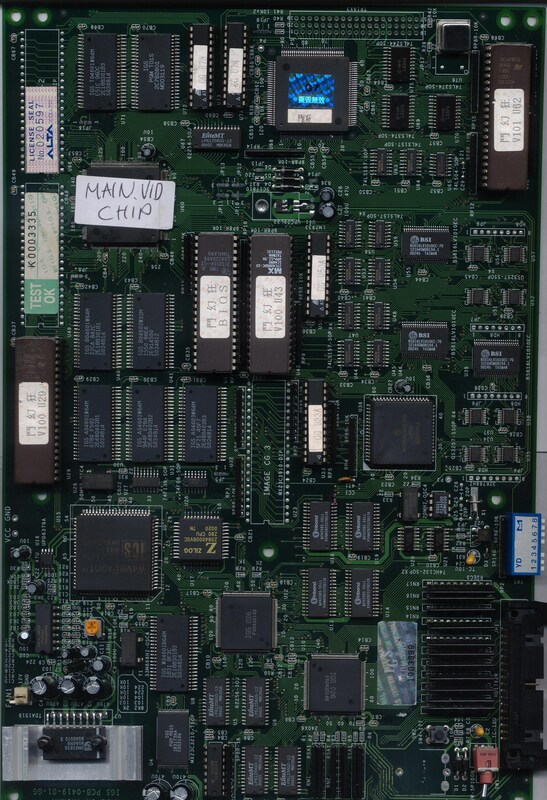 I have just started adding PGM Mother Boards scans as well.... A bit harder to collect.. but i buy them now and then. Most are faulty, And need repairs. So you can see the damage, cap leakage and repairs in the pics. update 009 - PGM “The Gladiator / Road Of The Sword” CART PCBs added. I have had the single PCB version of this for quite a while. I was very excited to secure the Cart version as well. BIG THANKS goes out to @buffaloj0e for help supplying these carts I can't thank him enough I'm very grateful. Did you just want me to dump "“The Gladiator / Road Of The Sword” " Program roms?? OR EVERY pcb i have's program Roms?? Dumping is not an issue.. I have a eprom burner with 48pins Did you just want me to check the program roms stickers to see if i have diffrent versions?? Added "Hack Cart 4", Looks to be a revision of "hack cart 1"
IF people what a specific cart dumped (Program roms etc).. please let me know... And i'll do it. Can some one help me with translation of the following games Names / Labels ??? The post was edited 1 time, last by GC8TECH ( Apr 18th 2019, 1:51am ). Added "KOV - Super Heroes" (2). Again a different revision. Label etc. Added "Flash 3 in 1"
The post was edited 1 time, last by GC8TECH ( Apr 20th 2019, 9:34am ). I notice that espgaluda and ddonpach both include decrypted "Bootleg" roms in there mame sets. Huge update on "Hacked PGM Carts"
ALL HACK carts run a PLD (seams to be a Lattice LC4128V On all of them). PLUS a "ARM7" CPU. This is eigher in a a small QFP OR a PLCC 44pin chip. The ARM7 QFP is a "LPC2131FBD64"
The ARM7 seams to have jtag as well. (both have pin headers on the PCB for each chip). Another fact i know 100%. Some hack carts run un-encryted program rom code. While other use Encrypted Prog Roms. The post was edited 1 time, last by GC8TECH: Forgot arm7 core chipp info ( Apr 21st 2019, 1:36pm ). Awesome man, thanks so much for doing that! I look forward to trying them in MAME!